Teens are always hungry. They seem to scavenge for food pretty much non-stop! Even when dinner is over, they often return to the kitchen, looking for something more to eat. 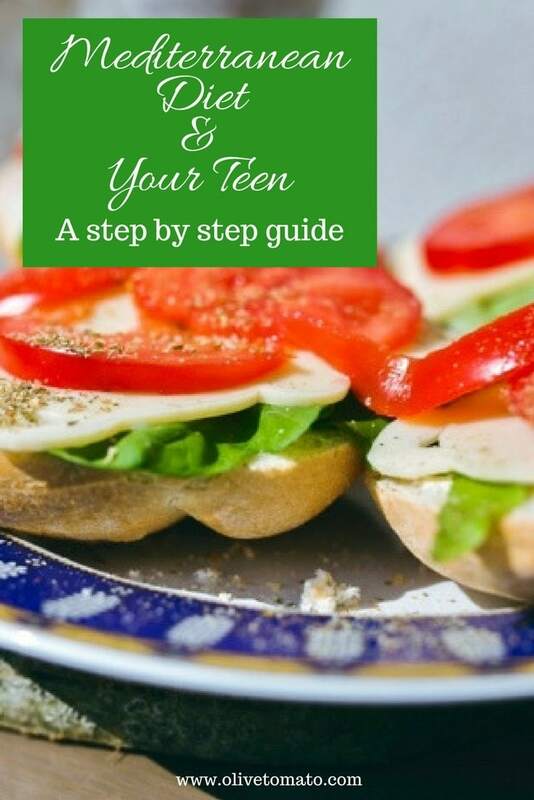 So what is a parent to do to satisfy the seemingly endless appetite of a teenager, choose the right food that will fuel their growing bodies, and set them on the course to adopt a healthful lifestyle early in their lives? The dietary requirement for an active teenager is high in calories. As parents, we need to make those calories count with a well-balanced diet–a Mediterranean diet–which includes plenty of seasonal vegetables, fruits, a bit of protein and good fats. Don’t let your children leave for school on empty stomachs. Make some oatmeal the night before so all they have to do in the morning is warm it up and then add some fresh fruit, raisins, chopped nuts and a drizzle of Greek honey. 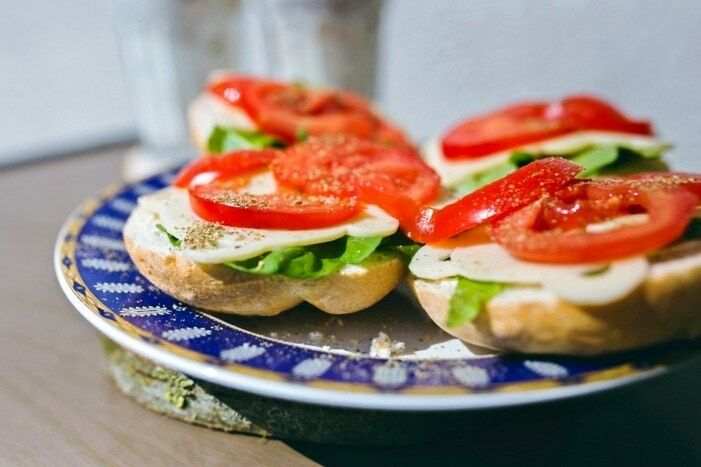 Toast some whole grain sourdough bread and spread some Anthotiro or Ricotta cheese and a drizzle of olive oil on top. Cook some fresh eggs in olive oil and serve them with some sharp Greek Feta cheese on the side. If there is no time to sit down to breakfast, make them a quick smoothie loaded with protein “to go”: in a blender, mix together some low fat milk or plain Greek yogurt and with their favorite seasonal fruit and a tablespoon of almond butter or tahini. Even young teens can figure out that most school cafeteria offerings are a sad brown color. So, they might welcome the idea of packing their own lunches. Invest in a good Thermos and you can use the leftovers from the soup, stew, or even the pasta meal your teens loved the night before. Lentil or bean soup reheats very well and tastes even better then next day, especially topped with a good drizzle of good olive oil. Greek filo pies like spanakopita or hortopita are easy to pack and bring to school the next day. Keep a water bottle in the backpack and skip the soda and the so-called energy drinks, which are either empty calories or loaded with sugar. It is no news flash that teens like to snack. Be prepared for ravenous teens returning from school or sports practices or music rehearsals by having something ready that is both filling and nutritious. Good options include Greek yoghurt with honey and walnuts; hard boiled eggs; fresh fruit; wedges of cheese; or hummus with pita bread. Step 1: A well-stocked pantry is key to spontaneous cooking. Step 2: At the beginning of each week, when you go grocery shopping, have a plan in mind about the week’s dinners. Step 3: Plan to cook something additional on the weekend that can carry over to one meal during the week. For example, make some extra grilled chicken, tomato sauce, or, even a big batch of rice or grains (that you can mix with vegetables later in the week to make a hearty salad). You could also freeze a stew, make some extra soup with pulses for that busy weekday for which you had not planned anything. 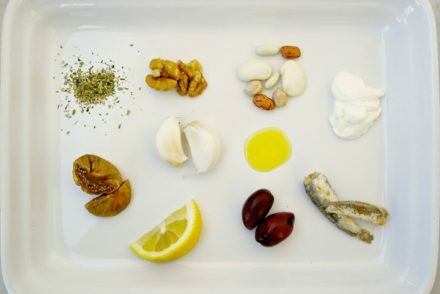 Step 4: Prep ahead each morning: Wash and prep vegetables and fresh herbs, marinate your simple protein, or, prepare an olive-oil based salad dressing. You will be thankful you did come dinnertime! Step 5: Try one new dish each week and involve your teens in choosing which one. Let them get inspiration from cookbooks with enticing photography, favorite food blogs, or from Instagram or Pinterest. Kids are visual and if they like the looks of a dish, they will likely eat it! Empower your teens by teaching them basic cooking skills. 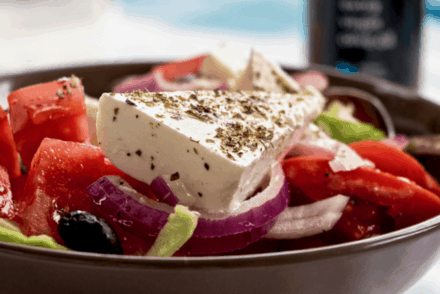 Teach them how to make traditional Mediterranean vegetable dishes such as Greek style beans or peas, how to sauté or grill a simple protein, make a big Greek salad, or, how to make pizza from scratch. Enroll them in a cooking class where they can learn useful knife skills or more advanced cooking techniques with other kids their age so they can expand their skills. Then ask them to come home and cook something for the entire family. Encouraging culinary curiosity is a win-win situation: they get to learn how to prepare something other than cereal, and you get a night off from your usual dinner time routine! 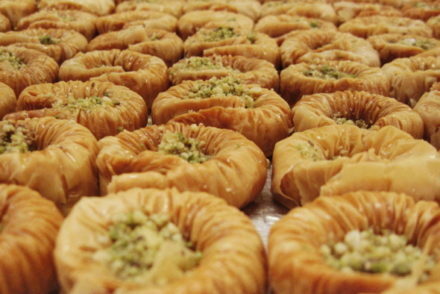 Five steps to eat more like a Mediterranean- Step 4: Don’t take desserts for granted. I am so excited about these recipes! My daughters and I are on board with healthier eating habits–and this diet is just what we were looking for!